Do you still have your Titan? Would you be interested in seeing if now may be the right time to trade? I am asking these items because Nissan has announced additional rebates/incentives to current Titan Owners who may be interested in a new Titan. If you can give us 30-45 minutes of your time here at the dealership we can let you know if it might make sense to trade now. In some cases we can look at your file and get a better idea after a quick conversation if you had made your original purchase here at Bertera Nissan. 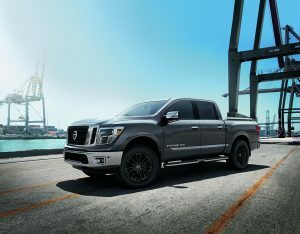 These incentives are only good if you still have your Nissan Titan BUT I am told you do not have to trade it.. As far as I know they are only good until the end of this month. Would you like to see if it makes sense to do something now? Leave a comment on our Bertera Nissan Facebook Page or submit an inquiry to our Website – Bertera Nissan Titan Information Page. Here is a little video we just uploaded to Bertera Nissan Youtube Channel and Posted on Bertera Nissan Facbook page. Let us know what you think in the comment section. If you happen to be shopping for a 2018 Nissan Rogue see our 2018 Nissan Rogue Inventory links and Specials here!